Wawa will open the doors to its largest city store on Drexel's campus Friday. 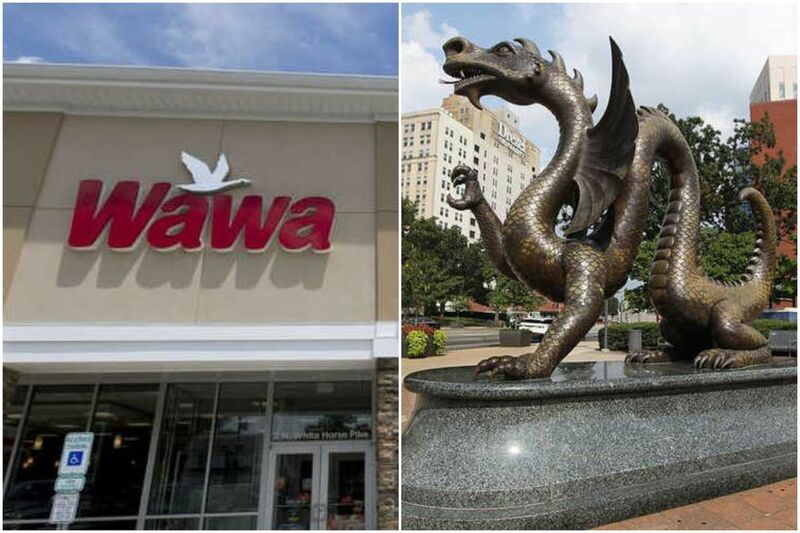 Move over, Mario the Magnificent, because Wally Goose of House Wawa will stake his claim in the land of the dragon on Friday, when Wawa opens its largest-ever urban store on Drexel University's campus. Just call it "A Song of ICEEs and Sizzlis." Plans for the store on the 3300 block of Market Street in University City were uncovered in March and officially announced on Wawa Day in April. At 8,760 square feet, the store will be the largest within the city limits — for now. An 11,000-square-foot "flagship" at Sixth and Chestnut Streets near Independence Hall is scheduled to open around Thanksgiving. According to a news release, the Drexel location will feature the beloved convenience store chain's "newest and largest urban design prototype," and will include 20 inside seats and plans for exterior seating. The shop will carry the newest Wawa food choices, like custom salads, and will feature a beverage exclusive to the Drexel location: the Dragon Double Shot. The sweet-and-salty caramel latte has two shots of espresso and is topped with blue and gold sprinkles. Listen, Philadelphia, the release says sprinkles, not jimmies. We're just the messenger. The store will open at 7 a.m., with an 8 a.m. celebration and ribbon-cutting. Wawa will also announce an expansion of its partnership with the A.J. Drexel Autism Institute and officers from the university's police department will compete against Philadelphia firefighters and EMS student volunteers in a hoagie-building contest. And perhaps most important for college students, the store will be giving away coffee from Friday to Sunday.